How strong is your soil? Does it have muscles? 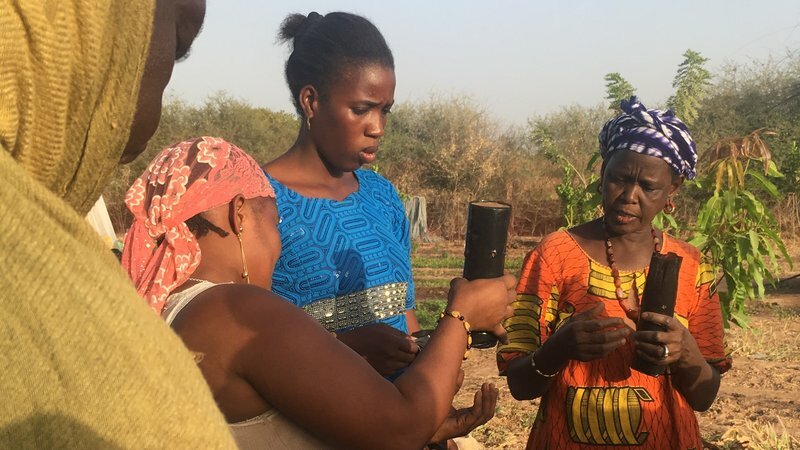 Here in Senegal, people will say suuf si amul doole when talking about soil, which literally translates to “the soil has no muscles.” Farmers in Senegal use this Wolof phrase a lot when talking about the difficulties they face with the quality of their soil. One of the major problems related to agriculture and, by extension, food security here in Senegal is lack of soil fertility. 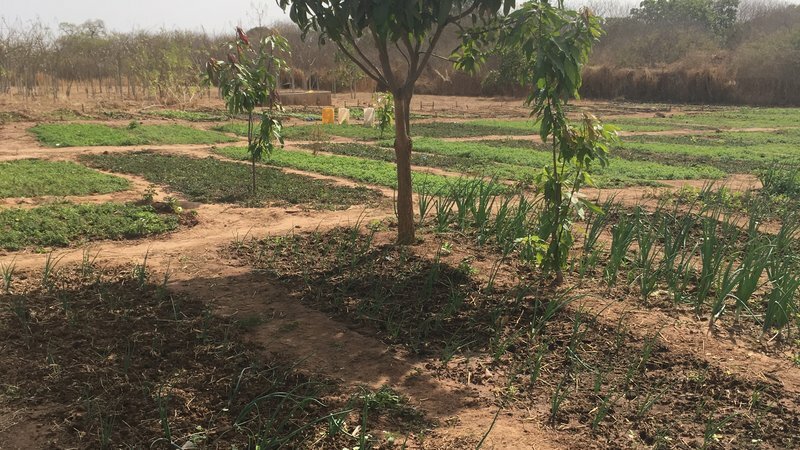 Much of the soil in Senegal is poor in quality due to overuse and degradation. Lack of soil fertility causes problems with food security if the soil isn’t strong enough to grow the food people need. 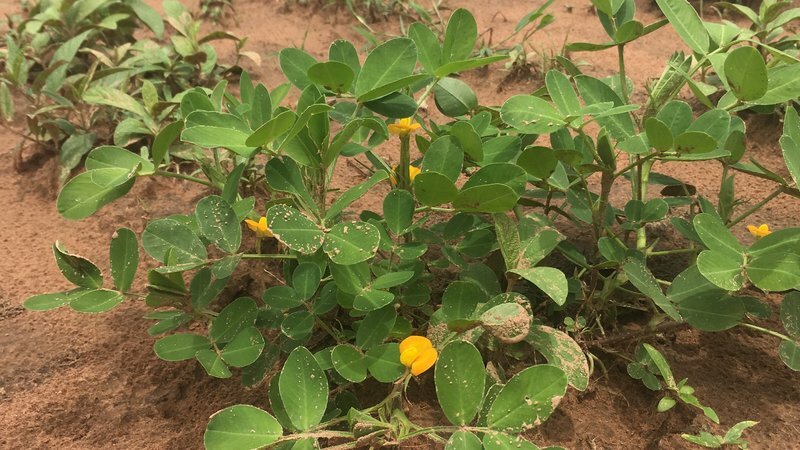 Peanuts are one of the major cash crops grown in Senegal, but they are very hard on the soil, leaching out vital nutrients. 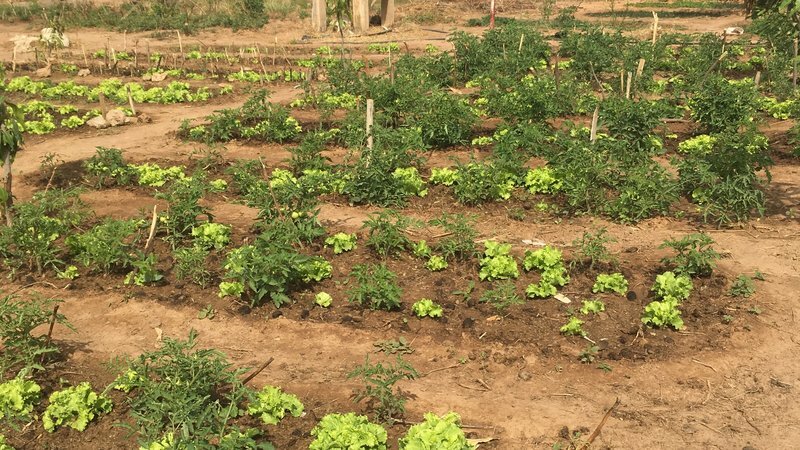 Many Senegalese farmers do not practice crop rotation – a practice that can restore nutrients to the soil. 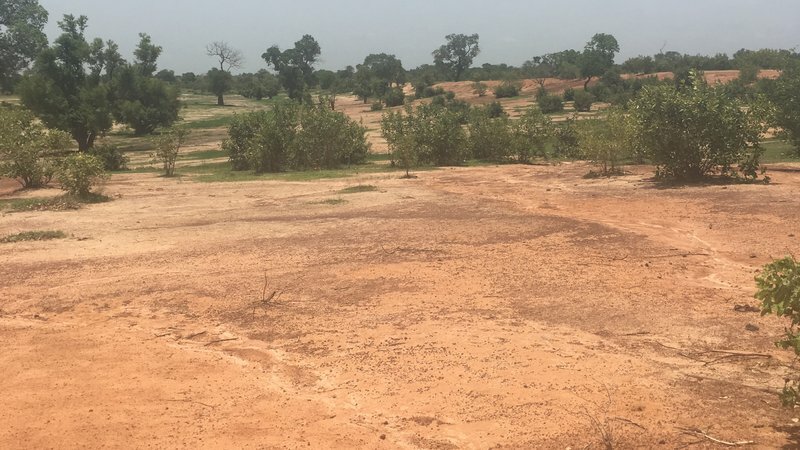 Another significant problem with soil fertility in Senegal is erosion, largely due to deforestation. This combination of a single-crop system and deforestation-driven erosion leads to loss of nutrients in the soil, and makes it hard, dry and difficult to farm. Fatimata Camara is the president of this women’s garden in my town. 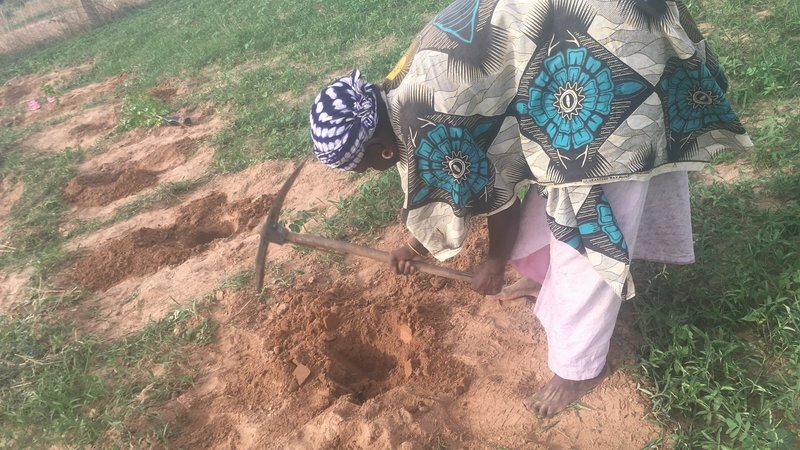 Like many Senegalese farmers, she is looking for ways to improve the soil in her garden. 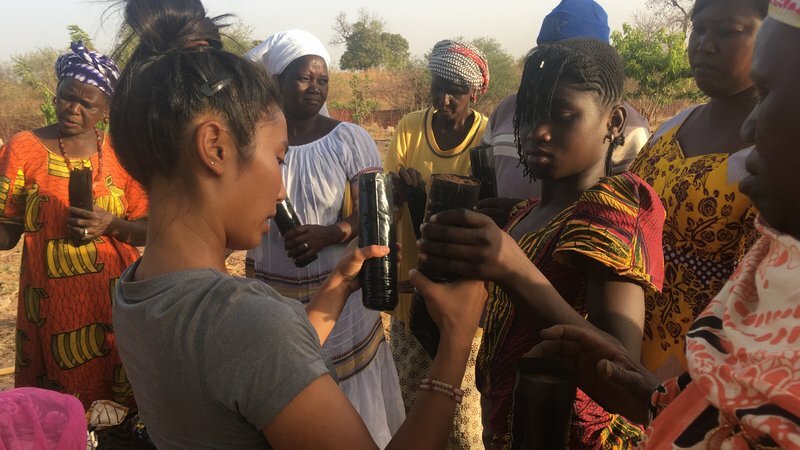 When visiting a Peace Corps Master Farm (a model farm showcasing the various techniques Peace Corps extends in Senegal), Fatimata admired the quality of the Master Farm’s soil. When we returned from the training, Fatimata specifically asked me about ways to improve soil fertility in her plot. 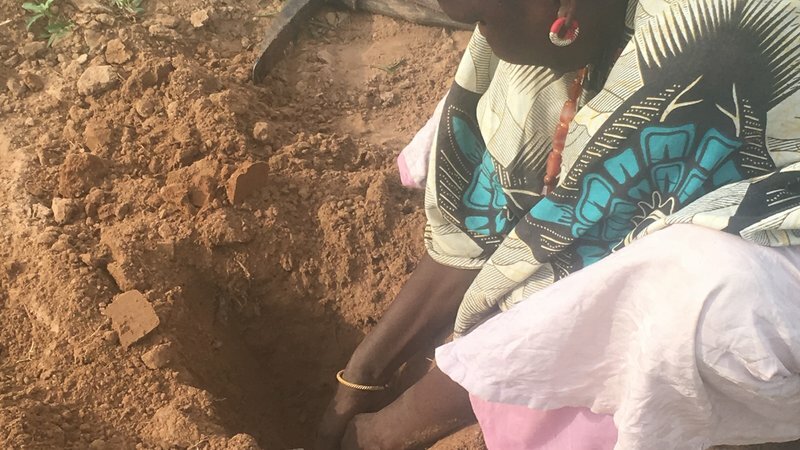 Soil fertility is complicated, and the Peace Corps works with many innovative techniques that can be applied to improve it. 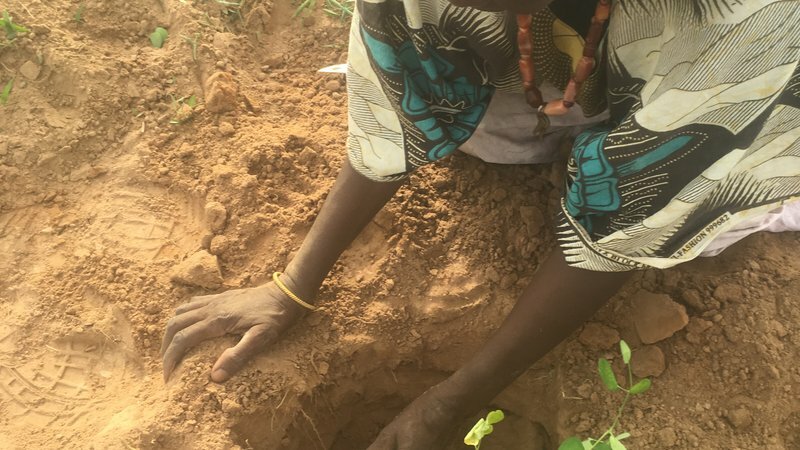 One of the most successful ways that farmers can improve soil fertility is to plant trees. Trees in fields or garden spaces can improve soil stability, prevent erosion and provide microclimates with shaded spots in gardens or fields. The right species of trees, such as moringa or cajanus cajan, can also increase nitrogen in the soil, an important component for plant growth and fruit production. 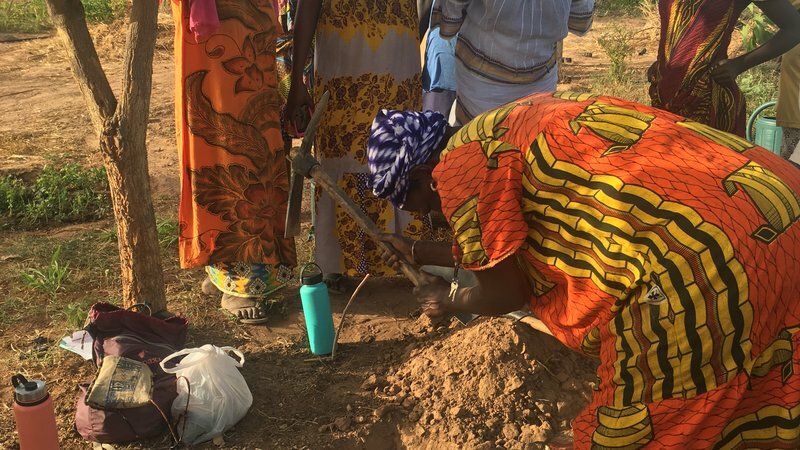 After talking with Fatimata about some of the ways to improve soil fertility, she said that she was interested in having her women’s group learn how to make a tree nursery. 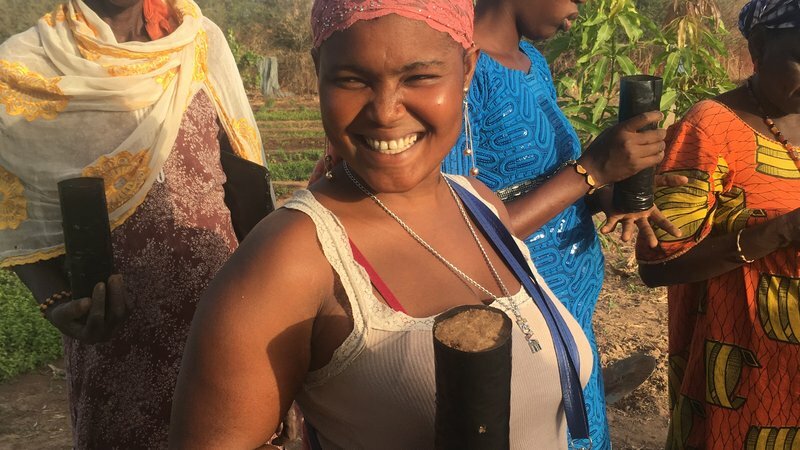 With the help of fellow Volunteers Johanna Vo and Corinne Hultman, I hosted a tree nursery training in the women’s garden in my community with Fatima’s women’s group, as well as other community members, farmers and gardeners. We started out by digging a hole for the tree sacks, which helps stabilize them so the trees grow straight and tall. We filled the hole with neem leaves and wood ash from cook stoves – both natural insecticides – to protect our trees from insect attacks. We sifted together sand and manure, the ideal combination to nourish growing baby trees. Then everyone learned how to properly fill the tree sacks with the substrate mixture. It’s important to have the soil packed tight enough that it won’t collapse, but not so tight that the roots can’t grow. Fatimata and other training attendees compared their sacks to make sure they were doing it the right way. Fatou, another attendee, was very happy with how her tree sack turned out! The tree sacks, once filled, are watered for three days and then weeded before seeding. I worked individually with the various training attendees to seed their sacks. Fatimata seeded the most tree sacks of anyone in the group, with a variety of different species of fruit trees and alley cropping species intended to introduce nitrogen in the soil of gardens or fields. After a few months (the exact length of time depends on the tree species), the trees will generally be ready to outplant. This is a delicate time, because once the trees get to a certain height, they must be outplanted, but there also must be sufficient rain to support them in their permanent locations without hand watering. 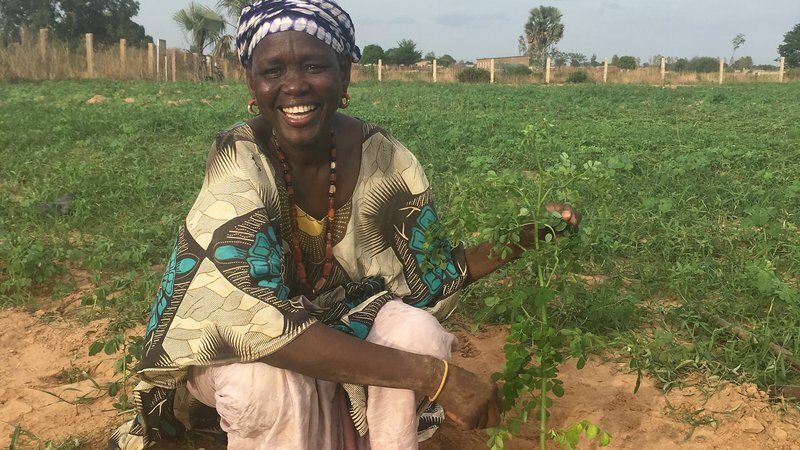 Fatimata’s first trees that were ready for planting were moringa, an increasingly common “superfood” here in Senegal. Moringa is a very green, leafy tree that is fast growing, fixes nitrogen in the soil (nitrogen is an important nutrient for fertile soil) and produces edible leaves that are full of essential vitamins. 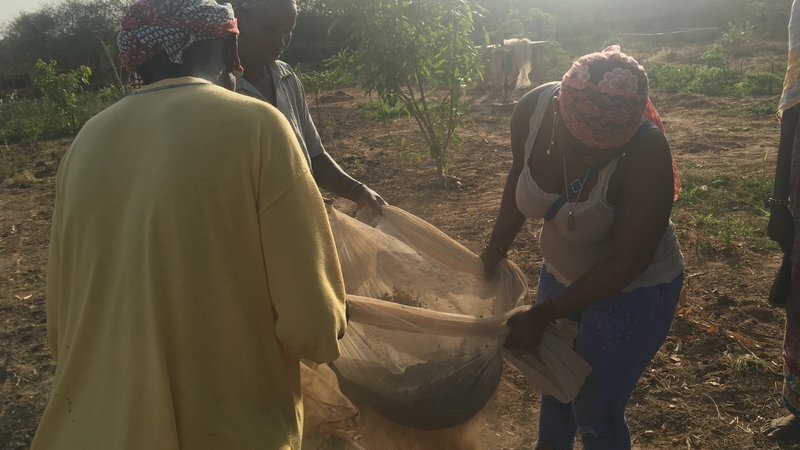 When outplanting Fatimata’s moringa, we dug a hole big enough to hold the root system of the tree, then added soil amendments like manure or compost, charcoal powder and wood ash. This combination of amendments gives the soil more nutrients, increases the soil’s capacity to hold water and repels bugs. The next step in outplanting is removing the sapling from its sack, a very delicate process. First, Fatimata cut the side of the sack open with a sharp knife. Then she carefully transferred the roots to the hole, keeping the soil as intact as possible. Finally, we refilled the hole and leveled the ground around it, making sure it was clear of weeds that may compete with the new tree. Fatimata was very proud of her trees and all the hard work she put in to planting them! 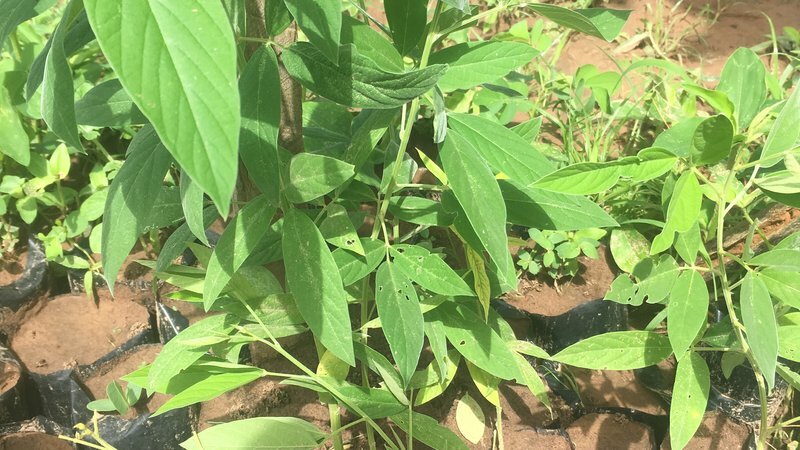 Fatimata’s moringa trees, as well as other trees planted by community members who attended the training, can have a positive impact of the soil fertility in and around my town. The more trees planted, the less likely gardens and fields will get washed out by erosion. 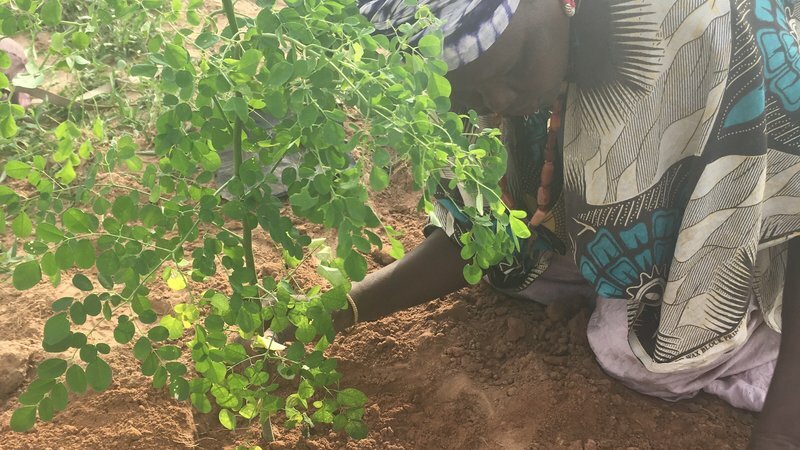 Nitrogen-fixing trees, like the moringa planted by Fatimata, can increase food yields when planted around garden beds or within fields. Many trees are also food producing themselves, and can provide families with vitamins, minerals and proteins. 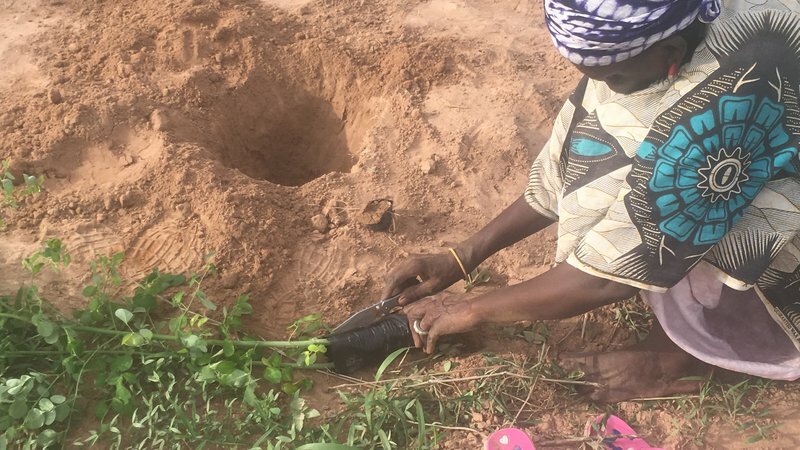 So because of the positive impact of trees in her garden, now Fatimata can say “suuf si am na dole” – the soil does have muscles! 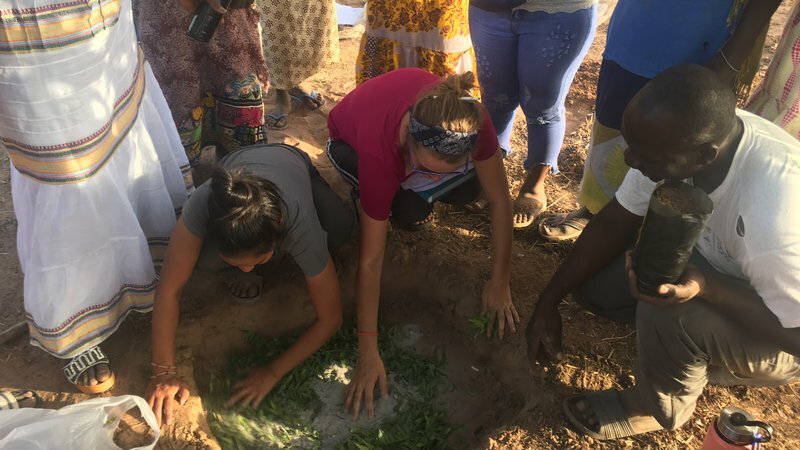 As an adventurous person always up for new experiences, Caitlin found that volunteering for Peace Corps was the perfect next step after graduating with a B.A. in International Political Economy and working for a women’s leadership non-profit. 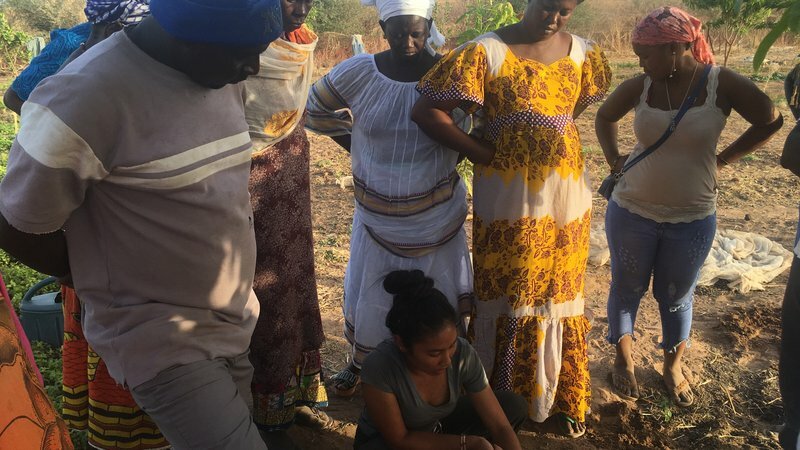 As an Urban Agriculture Volunteer in Senegal (2017-2019), she works primarily with women’s groups on gardening projects, as well as a girl’s club at the local middle school.